Dutch journalist Jolien Janzing sat on the steps of the city’s cathedral to eat a sandwich and got into conversation with one of the priests. That chat turned out to be quite significant as it eventually led to the publication of her second novel. Suicide, madness, passion and morality form a heady mix in this story of an orphan who rises above adversity to the position of governess in a gloomy and mysterious manor house. There she meets the enigmatic Mr. Rochester, sparks begin to fly and events take a further turn toward the gothic. Wuthering Heights is a blustery, tempestuous exploration of love and revenge. Heathcliff and Catherine are doomed from the start, as are the younger Catherine and Linton, a generation later. That this should be Emily’s only novel is as much a tragedy as it is a triumph. Natasha Carthew in The Guardian lists a top ten of revenge reads in... children's books? Wuthering Heights? Wuthering Heights may be more usually thought of as a romantic novel but it revenge that leads the protagonists to their dismal fate that captivates. 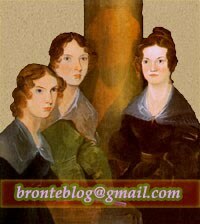 Brontë shows there is no peace in eternal vengeance and that, in the end, the self-injury involved in serving revenge’s purposes will be more damaging than the original wrong. Genius. When I heard this, I couldn’t help but think of Hemingway’s move to Paris in the 1920s, and how it changed the course of his life forever. But for every Hemingway in Paris, there’s a Brontë in Haworth. In spite of what we’ve been told, creative success rarely happens in isolation. It is often the result of complex systems and networks. There are no lone geniuses -- only collaborative communities that seemingly produce extraordinary individuals. Other northern winners include Ellesmere Port, named the “most enhanced station building”, Grange-over-Sands, which won the best station garden and the large floral displays award with the Brontë Garden at Sowerby Bridge, named after Branwell Brontë – brother of Emily, Charlotte and Anne – who worked as a railway clerk at the station winning second place. Orrell Park Regeneration Group came third with its traditional planting and wildlife garden around the station and banking areas. Wuthering Heights isn't a perfect love story - far from it - and that's what still continues to captivate its readers. Cathy and Heathcliff's relationship isn't remotely pretty: their love is as weathered and ragged as the remote Yorkshire moor it plays out on - and just as wild and destructive. As their relationship frays, it crescendoes just like a howling storm. Emily Brontë's tale of all-consuming love is an intoxicating read. The first of three guided walks for the festive season will take place on December 12 in Brontëland. Candlemass Eve, being held on December 12, is a circular five-mile walk setting off at 10.30am from the Visitor Information Centre at the top of Main Street in Haworth. David Anderson will lead a slightly undulating stroll to Oxenhope and back in time for carols around the tree. Mince Pies Walk No 6 is a five-mile circular walk on December 16, led by Gillian Dale and and David Anderson, who will meet walkers at Eaves car park, Hawkesworth Road, just outside Baildon, at 10.30am for a walk via Sconce. Haworth. Think sweeping moorland teeming with restless lovelorn spirits, quaint cobbled, village streets and rolling, rocky hillside. It was here where the Brontë sisters lived and wrote, inspired by the intense Yorkshire landscape and frustrations of village life. Poet Sylvia Plath, who is buried close by, was known to have loved Haworth and it has become something of an unofficial pilgrimage for misunderstood writers worldwide. Make sure to pack a sturdy pair of walking boots and head up to Top Withens, a site with truly astounding views that inspired Emily Brontë’s turbulent novel Wuthering Heights.